2 April – The United Nations General Assembly has voted to adopt a historic arms trade treaty, with Palau presiding over the final vote (pictured). The agreement, which has been years in the making, would regulate the international trade in arms and conventional weapons. 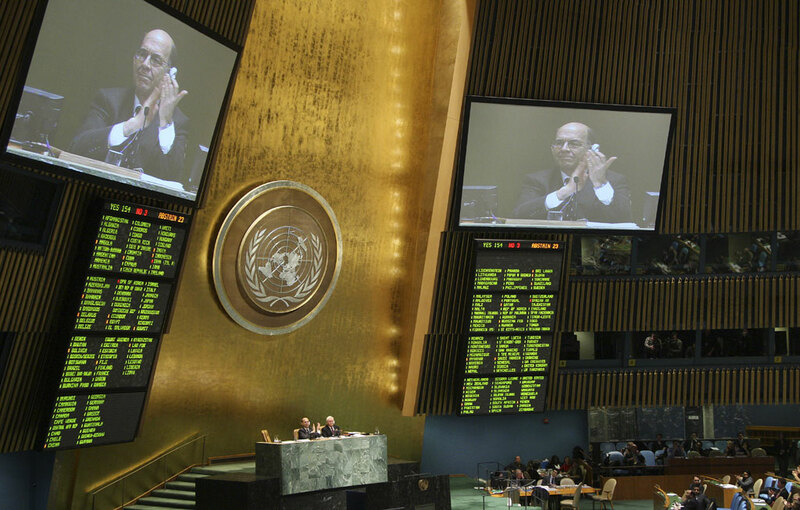 A majority of countries were in favor, with 154 Member States voting in support, 3 against, and 23 abstaining.